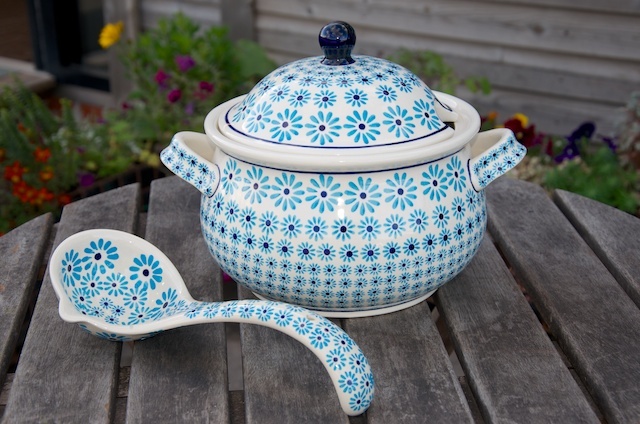 Polish Stoneware Pottery Turquoise Daisy Tureen with Ladle by Ceramika Zaklady. 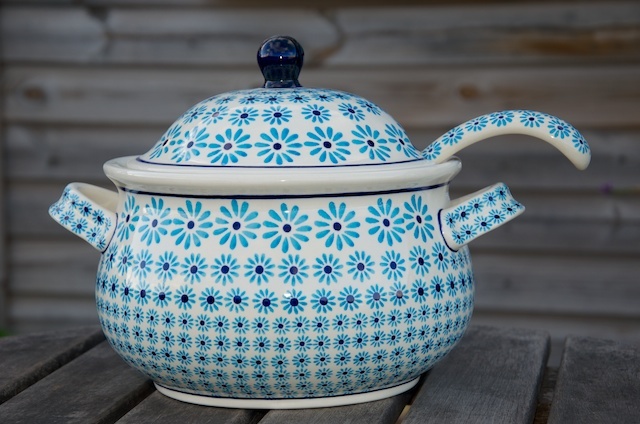 Dimensions 20.8cm (h) x 27.9cm diameter handle to handle. Capacity 3 litres. 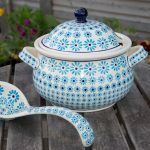 All Products are Oven, Aga, Microwave, Dishwasher and Freezer safe.